Finally, a kit every professional cable technician needs for coaxial repair and installation. 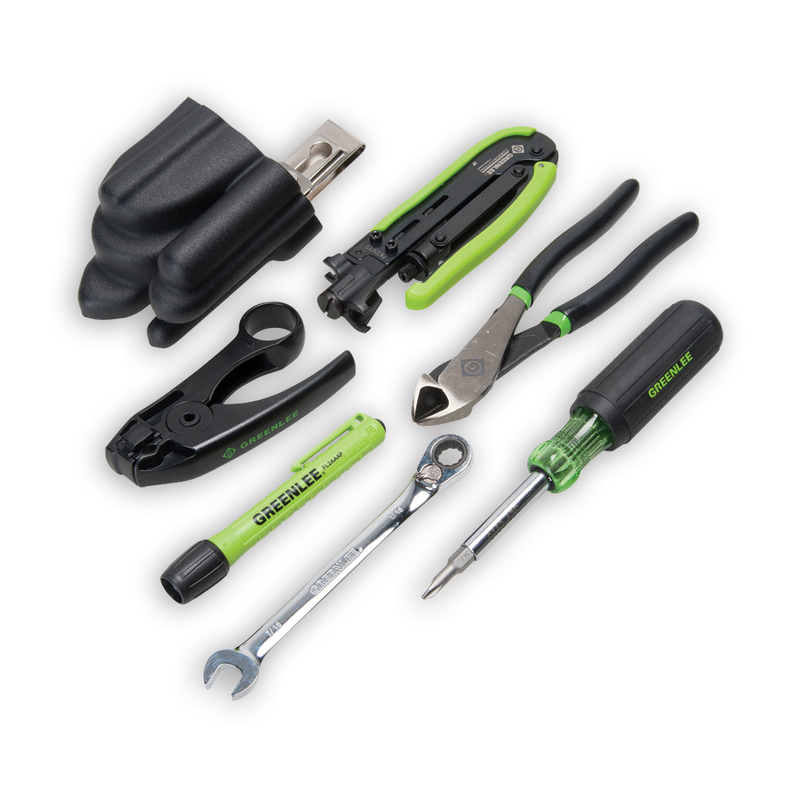 The greenlee 46601 Coaxial Cable Tool Kit contains six essentaials tools needed to strip, cut and terminate coaxial cables. The kit also includes a custom molded, swivel grip pack holster that moves with you for extra comfort.